Taal Volcano always looks picture-perfect, but has a violent past. 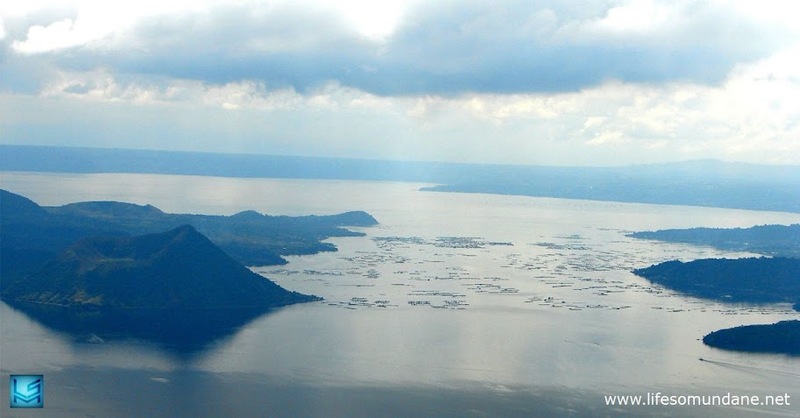 It is always easy when one drives along the Tagaytay Ridge to simply forget that the postcard picture perfect scenario below of Taal Lake has in its midst a midget of a volcano the size of which belies its violent temper. The volcano has been relatively quiet since 1977, but in the same way a booby trap sits hidden among the grasses of a field – waiting for the unsuspecting to come by before exploding into the air. I myself live but a mere 16 kilometres from the volcano; yet I seldom, if at all, give it a thought in my everyday life. I was an elementary schoolboy at the time; and I still remember having dressed up to go to school only to be told that classes had been suspended because Taal Volcano had erupted. Neighbourhood kids in Fernando Air Base stood at the street corner where the Air Force school bus picked us up each morning. We were all gawking at this angry black cloud which appeared as though it was just behind the Our Lady of the Rosary Chapel inside the base. That cloud was not unlike the iconic pictures taken at Hiroshima and Nagasaki after atomic bombs were dropped on the two Japanese cities to end World War II in the Pacific in 1945. Image credit: John Tewell's collection on Flickr. 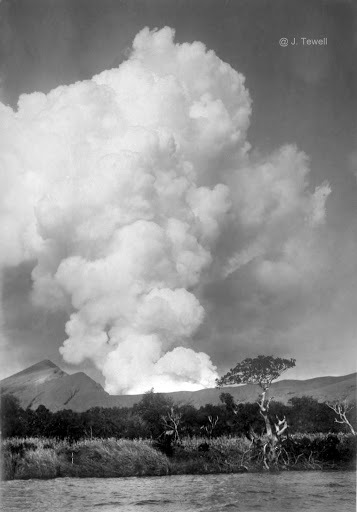 The eruption on 1965 had a cloud not unlike that of an atomic bomb. When it was deemed reasonably safe for schoolchildren to go to school in the next few days, the Air Force issued us with surgical masks as a precaution against inhaling the ash fall which littered the entire city. But even this was peanuts to the most violent eruptions in recorded history, those in 1754 and 1911. 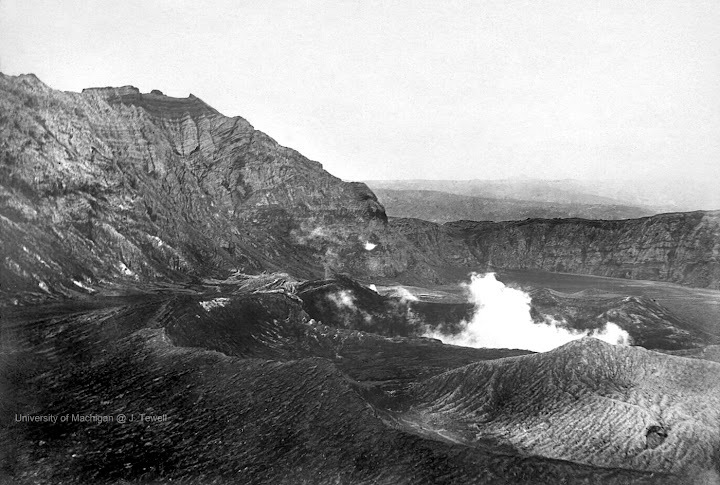 Both eruptions emanated from the Main Crater inside the Volcano Island. The 1754 eruption began on the 15th of May and did not end until December of the same year, more than six months in duration. PHIVOLCS categorised this eruption as very violent phreatomagmatic. Apart from projectiles hurled into the atmosphere, there were frequent rumblings of the ground which caused land fissures, acid rain, sulphurous steam and ash fall up to 110 centimetres. “On May 15, 1754, at about 9 or 10 o’clock in the night, the volcano quite unexpectedly commenced to roar and emit, sky-high, burning flames intermixed with glowing rocks which, falling back upon the island and rolling down the slopes of the mountain, created the impression of a large river of fire. “From the said 2nd of June until September 25, the volcano never ceased to eject fire and mud of such bad character that the best ink does not cause so black a stain. The more recent eruption in 1911 was likely more destructive because by this time, the population had grown and more structures had been built since the eruption of 1754. This eruption was categorised by PHIVOLCS as very violent phreatic also with acid rain, dangerous projectiles, land fissuring and ash fall up to 80 centimetres. Officially, 1335 people were recorded to have lost their lives, although it is believed that more than this number actually perished. Villages on the Volcano Island were all wiped out. 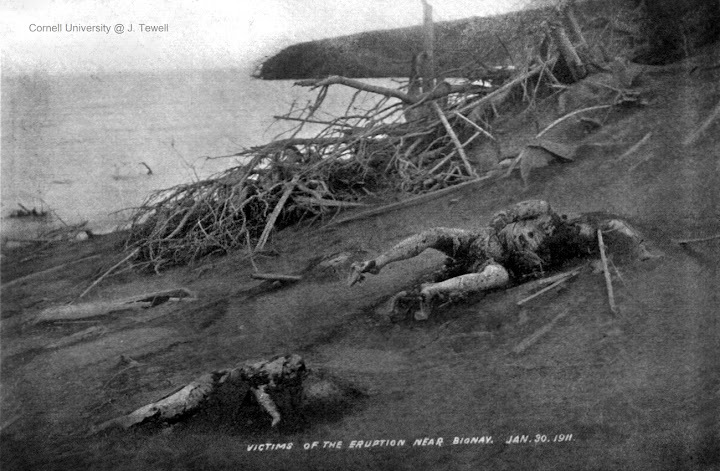 Upon examination of the fatalities, their bodies were found to have been scalded by hot steam, hot mud or both. Currently making the rounds in social media are disturbing reports saying that, apart from the recent spate of significant earthquakes around the world in recent days, 34 of 38 erupting volcanos this year are all in what is called the Pacific Ring of Fire. Taal Volcano is among the lowest volcanos in the world but is also among the most dangerous as History has recorded. It is also very much a part of this dreaded Ring of Fire. I am definitely one of those silently praying that the recent spate in activity around the ring does not disturb Taal Volcano from its slumber. The next time you are at Tagaytay Ridge enjoying the scenery down below, just bear in mind that the pretty sight you just snapped a picture of is a booby trap waiting to be tripped.